Australia is not new to the threat of jihadi terrorism, but the 15-16 December 2014 hostage crisis staged by Man Haron Monis in Sydney shook the Australian people and was followed live across the world. Previous and recent arrests of young would-be Australian jihadists preparing terrorist attacks have only emphasised the growing threat of Islamic State of Iraq and ash-Sham (ISIS)'s influence in Australia. Some have compared the December 2014 Sydney hostage crisis with Australia's first "jihadi attack" 100 years ago, against New Year's Day picnickers in Broken Hill, NSW. On New Year's Day, 1915, two Muslim men shot and killed four people and wounded several others before finally being killed by police. Their intention was to die for the faith "in obedience to the Sultan's order" - following an Ottoman fatwa that declared it was a religious duty "for all the Muslims in all countries, whether young or old, infantry or cavalry, to resort to jihad with all their properties and lives." What explains the present sudden surge of ISIS-style jihadist plots in Australia, mainly by "lone-wolf" or small cells of radicalised Muslims? Sam Mullins - an Australian who serves as Professor of Counter-Terrorism at the George C. Marshall European Centre for Security Studies - published an analysis of the development of home-grown Islamist terrorism in Australia up until the end of 2011, before the phenomenon of foreign fighters in Syria and Iraq became a global menace. He noted that "jihadi militants have been active in [Australia] since the 1980s." According to Mullins' numbers, from September 2000 until mid-2011 there were 16 confirmed cases involving 36 individuals actively participating in, planning or promoting violent jihad at home or abroad and 27 of these individuals have been convicted in Australia. More important, however, is that the data from that period shows no successful Islamist terrorist attacks within Australia. Yet it does seem al-Qaeda had an obsession with Australia's only nuclear reactor. There were indications that the Sydney cell explored the possibility of attacking the Lucas Heights nuclear reactor. A man named Taha Abdul-Rahman, who stole a number of rocket launchers from the stockpiles of the Australian Army, sold five of the rocket launchers to Sydney cell leader Mohamed Ali Elomar, who stated an intention to "blow up the nuclear place." Moreover, three members of the Sydney cell were intercepted within the restricted area surrounding the facility in December 2004. In Melbourne, nine men were ultimately convicted on a range of terrorism offences. Most of the cell members were new to Islamist militancy, with the exception of one who had trained in al-Qaeda's al-Faruq camp in Afghanistan in 2001. Abdul Nacer Benbrika, aged 45, of Algerian origin, acted as the leader and religious authority. In contrast to the Melbourne cell, the Sydney group was far older and more experienced. There were indications that four members of this cell had trained in Lashkar e-Toiba camps in Pakistan between 1999 and 2001. Five of the Sydney men also shared a Lebanese background, while the four others were of Bangladeshi, Bosnian, Jordanian and Anglo-Indonesian background. 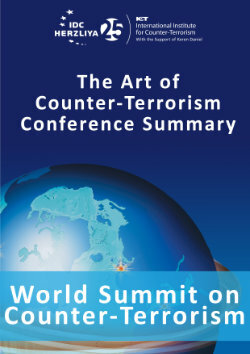 The cells, inspired by al-Qaeda, planned to carry out attacks against the Australian Government, motivated primarily by Australia's participation in the wars in Afghanistan and Iraq, with the Madrid, Jakarta and London attacks as role models. According to research by Shandon Harris-Hogan and Andrew Zammit of the Global Terrorism Research Centre at Monash University, a total of 33 individuals have been prosecuted in Australia for terrorism offences motivated by jihadist ideology. Twenty of these 33 persons have been of Lebanese birth or descent. This includes the majority of those charged with involvement in terrorist plots on Australian soil, and half of those charged with terrorism offences not related to a specific plot. But none appear to have radicalised in Lebanon. This foiled terrorist attack marks probably the latest al-Qaeda inspired operation against Australia - until the appearance of the ISIS threat in 2012. The civil war in Syria is clearly the main trigger for the changes in the Australian jihadist arena since 2012. Australian public opinion first began to take serious notice of the issue of Australians travelling to fight in Syria at the start of 2014, when the young couple Yusuf Ali (also known as converted Tyler Casey), 22, and his wife Amira Karroum, 22, were murdered side-by-side in Aleppo, Syria, after becoming radicalised in Sydney. They died in the ranks of JN during a violent fight with ISIS forces. It was later discovered that Baryalei was involved in the couple's move to Syria. Khaled Sharrouf and boxer Mohamed Elomar, from Sydney, became the most infamous Australians acting in ISIS's ranks in Syria. Sharrouf was a member of the Pendennis terrorist cell who spent time in jail for his part in the 2005 foiled plot, while Elomar had relatives jailed for that plot. They travelled to Syria in late 2013 where they joined ISIS forces fighting as commanders in Syria and Iraq. Both posted graphic images of severed heads, machine guns and dead bodies and religious quotes on Twitter to appeal to the younger generation. The most shocking piece of propaganda was posted by Sharrouf of his seven-year-old son posing with a decapitated head. Sharrouf was followed by his convert wife Tara Nettleton who brought their five children to Syria with her. Fatima Elomar was stopped at Sydney Airport in May 2014 when she tried to board an international flight with her children in an alleged attempt to join her husband in Syria. She has been charged with "preparing for incursions into a foreign state with the intention of engaging in hostile activities." Police suspect the Sydney-based Bisotel Rieh money transfer company, owned by the family of Sharrouf, may have been used to send more than $200,000 to ISIS and it was shut down by money laundering watchdog AUSTRAC. In July 2014, following the uproar produced by the tweets and gruesome photos posted by the two now notorious jihadists, Director General of Security and ASIO chief David Irvine declared that some tens of people had already returned from fighting in the Middle East and another 150 in Australia had inclinations to support extremist movements. And then, in a series of massive raids in suburban areas in Sydney and Brisbane, 15 people were detained on September 18, 2014 in a joint operation between ASIO, the Australian Federal Police and local police, prompted by signs that militant Islamists were planning "demonstration executions". Many of the men detained during the raids knew each other through the Sydney Street Dawah movement. The group had no official leader but Mohammad Baryalei became its unofficial leader because he was very influential and charismatic. Omarjan Azari, 22, was charged with preparing a terrorist attack in Sydney, allegedly suggested by Baryalei, with whom he was in regular phone contact, and meant to "shock" and "horrify" the community with a public beheading. (15) It was also alleged that an attack was planned in Brisbane, where a member of government was to be beheaded. Agim Kruezi, 21, was arrested in the raids and reportedly had connections to Azari. Omar Succarieh, 32, was charged with providing funds to JN. Then, in the eyes of millions of people around the world, Australia became a symbol of the ISIS global threat when on the morning of December 15, 2014 a lone gunman, Man Haron Monis, took 18 hostages in the Lindt chocolate café located at Martin Place in downtown Sydney, practically paralysing the centre of the metropolis. The televised saga ended after a 16-hour siege in which two people were killed. Monis was also killed in the police assault. "There will be others who follow the examples set by Man Haron Monis and Numan Haider in Australia, Martin Couture-Rouleau and Michael Zehaf-Bibeau in Canada, Zale Thompson in America, and Bertrand Nzohabonayo in France, and all that the West will be able to do is to anxiously await the next round of slaughter and then issue the same tired, cliché statements in condemnation of it when it occurs," the Dabiq article threatened. Is it not strange that a regime which together with its proxy Hezbollah is behind global terrorist attacks, including in regional partner states as close to Australia as India, Thailand and Indonesia, is considered a trustworthy partner? 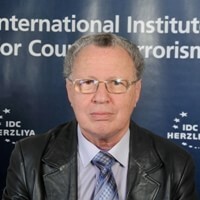 The Australian citizen Meliad Farah, also known as Hussein Hussein, is a main suspect in the July 18, 2012 bombing of a group of Israeli tourists at the Burgas airport, Bulgaria by Hezbollah. The Australian authorities are probably well aware that Pandu Yudhawinata, an Indonesian Hezbollah operative recruited by Iranian intelligence, arrested in 1999 in the Philippines, had recruited a small number of Malaysians and Indonesians and sent them to Lebanon for training in order to carry out terrorist attacks in Australia, Southeast Asia and in Israel. The latest terrorist plots in Australia involved very young men. On April 18, 2015, Victoria Police launched "Operation Rising" with 200 officers involved in seven simultaneous raids arresting five young men accused of plotting to bring terror to the streets of Melbourne during Anzac Day centenary commemorations. Major public events were due on April 25 across Australia to coincide with the 100th anniversary of the landings of Australian and New Zealand troops at Gallipoli in Turkey, during World War I. Days later, the al-Furqan Centre closed down, blaming "harassment." Zammit notes that the large number of Australians involved with groups such as ISIS and JN greatly exceeds any of Australia's earlier jihadist mobilisations. Although this raises well-founded fears of an increased threat at home, Zammit evaluates that "the foreign fighter threat to Australia may not turn out to be as great as feared," as neither JN nor ISIS appear to have made attacks in the West as high a strategic priority as al-Qaeda's senior leadership did in its time. A range of factors will determine the threat, including Australia's response, he concludes. The "Inner Ring" is where ISIS focuses its main effort to defend the core lands of its so-called Caliphate: the governorates, or wilayas, in Algeria, Libya, the Sinai, Saudi Arabia, Yemen and Khorasan (Afghanistan-Pakistan). ISIS claims to communicate with its leaders in each of these areas, approve operational concepts and funnels them strategic resources and military training. The "Near Abroad" ring is comprised of lands stretching from Morocco in the West to Pakistan in the East, where ISIS is attempting to expand its influence to offset losses in its interior. The "Far Abroad" ring encompasses the wider world: Europe, the United States, Southeast Asia, and cyberspace, where ISIS is attempting to foment a broader war. ISW assesses that ISIS will deliberately seek to expand its activities in the Near and Far Abroad rings to offset the risks of losing terrain in the Interior ring, particularly in Iraq. ISIS encourages attacks in the Far Abroad in order to provoke Western governments and societies into targeting and alienating Muslim communities and thus drive Muslims towards ISIS. This author would argue that, paradoxically, the more ISIS is squeezed in Iraq and Syria and defeated militarily by the broad ad-hoc coalition gathered against it, the more foreign fighters, who for the moment serve mainly as cannon fodder, will be compelled to return home or immigrate to more hospitable lands. They will congregate with older al-Qaeda and ISIS support networks and radicalised individuals in local Muslim communities and enhance the threat of lone-wolf or small cells attacks. Since January 2015 this trend has began to materialise: the January 2015 attacks against the Charlie Hebdo's offices and the Jewish kosher grocery store in Paris; pre-emptive raids by Belgian police in the town of Verviers against a group suspected of preparing a major attack ending with two ISIS jihadists killed; the attacks in February against both a public event called "Art, Blasphemy and Freedom of Expression" and a synagogue in Copenhagen; arrests of nine people in Barcelona and Tarragona, Spain, suspected of links to ISIS, in April; various police operations in Malaysia in April, leading to the arrests of 95 individuals with links to ISIS, many with a clean record who flew under the radar of security officials, some suspected of plotting attacks on strategic targets and governmental interests around the Klang Valley. The arrests in April and May 2015 of the young would-be terrorists in Melbourne are part of the same trend and foreshadow bad news for the near future as the number of Australians in Syria and Iraq is relatively high and conditions back home could be favorable for attacks. It should be noted that ISIS invests few resources and operational efforts in most of these attacks - apart from a very effective and targeted propaganda on the Internet amplified by the mainstream media, which is sometimes hypnotised by the gruesome events and thus serves as a resonance chamber. The Monis hostage situation in December 2014 is a good example of such a success. Furthermore, if the situation in Lebanon deteriorates even further and the Sunni jihadists challenge the Hezbollah and the Lebanese Army on a daily basis, the "Lebanese" effect could again play a greater role in Australia and revive the old local networks and family links in spite of the arrests of recent years. Events involving Australian policies such as the fight against illegal immigration, racist attacks against Muslims, crises in relations with Indonesia or military forces deployed in Afghanistan and Iraq, could also trigger terrorist attacks on Australian soil and serve ISIS or al-Qaeda propaganda. Ayman al-Zawahiri announced, on September 4, 2014, the establishment of a new affiliate group "Al-Qaeda in the Indian Subcontinent" (AQIS). He also challenged the legitimacy of al-Baghdadi's claim to the title of caliph by clarifying that the new jihadi organisation will work under the Islamic Emirate of Afghanistan, whose Emir is the "commander of the faithful" Mullah Mohammad Omar, the Taliban leader. AQIS allegedly covers jihadist activities in Pakistan, Bangladesh, Burma and India's states of Assam, Gujarat and Kashmir. Interestingly there is no mention of who is responsible for Indonesia or Australia, territories where al-Qaeda and its associates were active in the past, as mentioned above. Competition between the two jihadist organisations has clearly emerged as playing a role in the case of the attacks in France. AQAP claimed responsibility for the massacre at the Charlie Hebdo offices, following the declaration of the two brothers Said and Cherif Kouachi to the local media. But Amedy Coulibaly, who killed a policewoman and four people in the Hyper-Cacher Parisian kosher grocery store, pledged allegiance to the ISIS in a video published online two days after his death. Only a month later did ISIS refer to Coulibaly's terrorist operation in its English language magazine Dabiq, where "Basir al-Ifriqi" (Coulibaly) is presented as a "brave mujahid" who had given his bay'ah (oath of allegiance) to the Khilafah [Caliphate] beforehand. In May 2012, Australia was mentioned for the first time (among several other countries) in the AQAP magazine Inspire, as both a target and as an example of the damage bushfires have caused and instructions were provided on how to start such bushfires. But while Dabiq gave significant coverage to Man Haron Monis' hostage operation, Inspire gave it a very low-key attention. It remains to be seen if al-Qaeda or AQIS will try in the future to challenge ISIS in Australia by reviving the old networks or recruiting a new generation of jihadists. 1. Jarret M. Brachman, Global Jihadism: Theory and Practice (London: Routledge, 2009), pp. 123-4. 2. The devastating attack on a Balinese nightclub on October 12, 2002, in which some 202 people (mainly Australian tourists) were killed, Al-Qaeda's second most deadly after the September 11, 2001, was a wake-up call to governments in the region. 3. For a in-depth analysis of JI activities in Australia see Shandon Harris-Hogana and Andrew Zammit, "Mantiqi IV: Al-Qaeda's Failed Co-Optation of a Jemaah Islamiyah Support Network," Democracy and Security, Vol. 10, Issue 4, 2014, pp. 315-334. 4. Ely Karmon, "Olympic Bomb Plot to Blow up Sydney Nuclear Reactor Foiled: How Serious the Threat," ICT website, June 18, 2000, at http://www.ict.org.il/Article.aspx?ID=786. 5. Willy Brigitte received a nine-year prison sentence in 2007 from a Paris court for plotting the attacks in Australia: Global Security Newswire, "Terror Plotter Receives Nine-Year Prison Sentence," March 16, 2007, at http://www.nti.org/gsn/article/terror-plotter-receives-nine-year-prison-sentence/. Brigitte was detained again in March 2012 with other 17 Islamist radicals in a swap around France, suspected of preparing a kidnapping: Nicolas Bertin and Thierry Lévêque, "Militant who targeted Australian nuke plant held in France," Reuters, March 31, 2012. 6. Bart Schuurman, Shandon Harris-Hogan, Andrew Zammit and Pete Lentini, "Operation Pendennis: A Case Study of an Australian Terrorist Plot," Perspectives on Terrorism, Vol 8, No 4 (2014), at http://www.terrorismanalysts.com/pt/index.php/pot/article/view/364/html. 7.Sam Mullins, Australian Jihad: Radicalisation and Counter-Terrorism. 8. Shandon Harris-Hogan and Andrew Zammit, "The Unseen Terrorist Connection: Exploring Jihadist Links Between Lebanon and Australia," Terrorism and Political Violence, Vol. 26, Issue 3, January 2014, pp. 449-469. 9. Andrew Zammit, "The Holsworthy Barracks Plot: A Case Study of an Al-Shabab Support Network in Australia," CTC Sentinel , June 21, 2012. 10. "Australia's jihadist scene has been very small and terror experts are trying to connect the dots to most recent alleged plot," news.com.au, September 14, 2014 at http://www.news.com.au/national/australias-jihadist-scene-has-been-very-small-and-terror-experts-are-trying-to-connect-the-dots-to-most-recent-alleged-plot/story-fncynjr2-1227063071043. 12. Jenni Ryall, "Why the Threat of ISIS Suddenly Feels Very Real in Australia," Mashable, September 26, 2014. 13. Rachel Olding, "Australian Islamic State kingpin Mohammad Ali Baryalei dead: reports," Sydney Morning Herald, October 29, 2014, at http://www.smh.com.au/national/australian-islamic-state-kingpin-mohammad-ali-baryalei-dead-reports-20141029-11ditn.html. 15. Jenni Ryall, "Why the Threat of ISIS Suddenly Feels Very Real in Australia," Mashable website, September 26, 2014, athttp://mashable.com/2014/09/26/isis-influence-australia/. 18. Dabiq, 6th issue, at https://azelin.files.wordpress.com/2015/02/the-islamic-state-e2809cdc481biq-magazine-622.pdf. 20. BBC, April 20, 2015.